Courts store a wide variety of document types from case files to disposition records, deeds, licenses, and more. While many courts use digital documentation, they still require a substantial amount of space for physical document storage. The courthouse drawer cabinets available to buy online are specifically designed to store all types of documents efficiently. Storage equipment doesn’t only affect the physical space it occupies. It also impacts the efficiency of personnel who store and retrieve these documents. Many courts still retain documents in outdated equipment to save on costs, but it does the opposite. The time personnel spends struggling with the filing equipment translates to valuable time lost. Space is another issue. The number of documents and record types courthouses store continues to increase. All of these documents have their own storage needs depending on the type of record, how old it is, its retention and destruction schedule, and its size. Forcing these records into outdated storage can easily lead to loss, damage, or theft of stored documents. Additionally, it’s difficult to keep track of every document’s retention and destruction schedule when they are not organized efficiently. The courthouse drawers both save space and store a variety of document types such as deeds, wills, and probate paperwork in one organized area. This also keeps documents sealed and safe from theft, dust, light, insects, and water. Choose from a variety of sizes depending on your storage needs. Courthouse drawer cabinets are available to buy online with free dock-to-dock shipping. If you need any assistance or just want some help picking the right solution for you, please call us at 1-855-786-7667. An easy way to save space is to combine your storage as much as possible. But since different items have different storage needs, they may require multiple types of solutions that, in turn, take up more space. Mixed media cabinets have multiple storage options to choose from, such as shelves, file drawers, and locking doors that combine your storage needs. 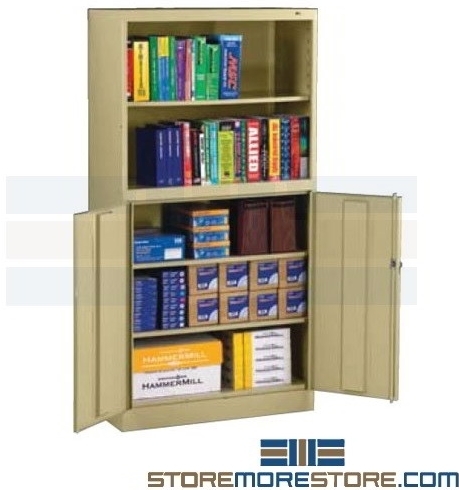 Instead of multiple cabinets and shelves that store confidential records, books, binders, and other supplies separately, the mixed media cabinets have a variety of combination options. For example, the top shelves provide storage for books and display items while the locking bottom drawers store and secure other sensitive materials. This allows you to control who has access to specific items. The bottom locking compartments can be in your choice of adjustable shelving or file lateral drawers depending on your needs. A variety of combinations and sizes are available, so make sure to check out our product page so you can decide which configuration is best for you. Since the shelves are adjustable on 2″ centers, it’s easy to customize the shelving sizes to fit varying sizes. Mixed media cabinets are available to buy online and ship fully assembled in 15-20 business days (free dock-to-dock shipping). If you need any assistance or just want some help picking the right solution for you, please call us at 1-855-786-7667. 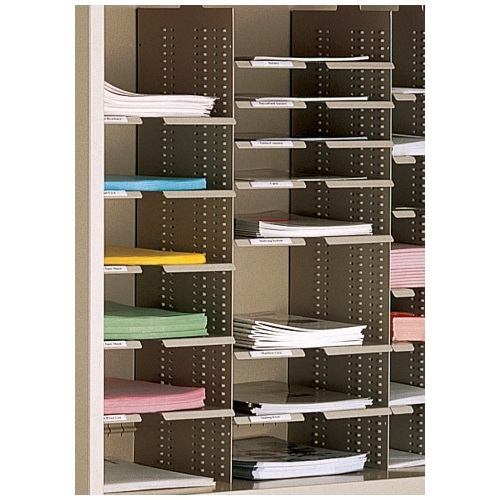 Mail literature sorting cabinets are an easy and efficient way to store your incoming and outgoing papers and binders. When you use storage that allows quick access, you spend less time rifling through your documents and more time on important workplace tasks. In a busy office, time spent on unproductive tasks quickly add up; the mail sorting cabinets are designed to specifically counteract this wasted time. In addition to time savings, the sorting cabinets also provide a clean, professional storage area in a small space. With adjustable slotted shelves, you can configure the cabinets to store multiple sizes of materials in a single space. Security is also an issue when storing sensitive documents. 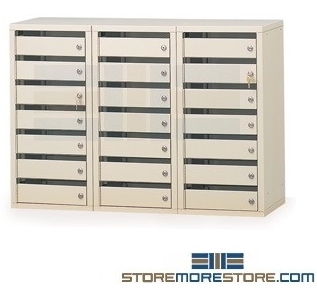 For your privacy and protection, the sorting cabinets can also be configured with hinged doors. The shelves are also durable enough to store more than just files. 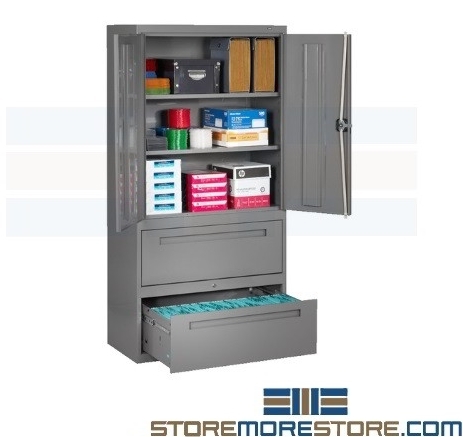 With Individual shelf capacities at 240 lbs, the cabinets are also great for storing and organizing binders, boxes, and other heavier materials. 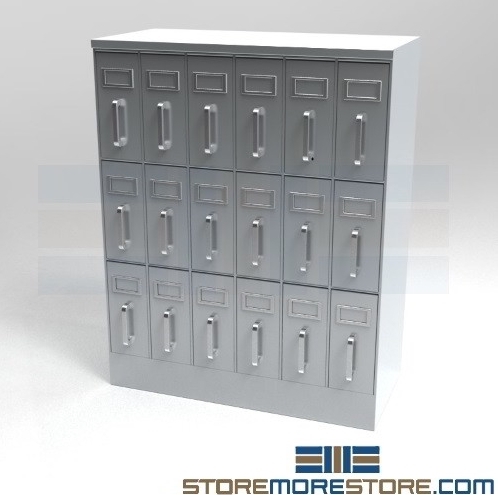 Cabinets are available in 36″ or 42″ widths and 64 ½” or 80″ heights. Adjustable sorting shelves made from 18 gauge steel. A beveled front edge holds labels, and thumb-cut shelves make it easy to quickly grab papers. Shelves interlock into vertical tabs that adjust in ½” increments, allowing you to store a variety of supplies in one cabinet. Full-width shelves constructed from 18 gauge steel. Durable and will hold up to 240 lbs. per shelf. Optional hinged doors are available to close and lock the cabinet while it isn’t in use. Optional accessories include additional sorting shelves, label holders, and dividers. 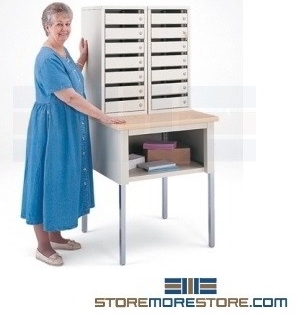 Mail literature sorting cabinets are available to buy online and ship within 10-15 business days. For further assistance, call us at 1-855-786-7667 or send us a message to speak to one of our experts. 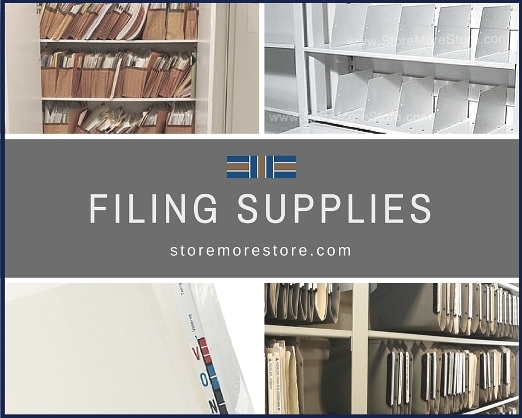 As a flexible open filing solution, slanted file shelving makes visibility and accessibility of files and folders easy. With files stored at a 55° angle, users can quickly see and read folder labels so they can find and store what they need faster. This increased visibility also leads to more accurate filing and less time spent trying to find misfiled folders. 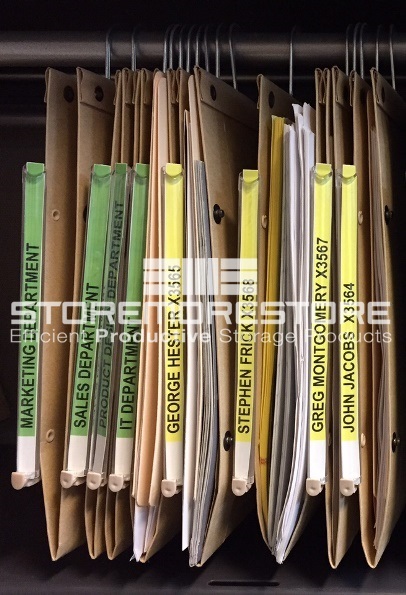 And when combined with end tab and color coded filing, users can access folders with just a glance. The slanted file shelving is also designed to store the most amount of file folders conveniently in a small amount of space. Every shelving unit accommodates your growing business needs. As your filing system changes, you can easily add additional modules and stack them up to eight levels high. We offer shelving in letter and legal depths of three widths and 3-tier, 6-tier, 7-tier, and 8-tier models. If you need a different size, you can also purchase individual modules for 4-tier and 5-tier shelving. There is no need to purchase separate dividers, as each unit has welded dividers included to keep files upright. 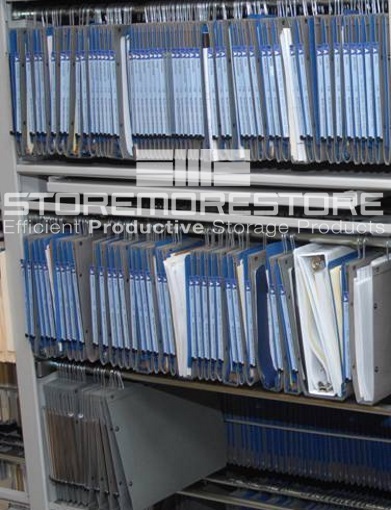 The slanted shelving is designed for use with color coded filing, side tab folders, and end tab filing. Their versatility and visibility makes them perfect for healthcare facilities and business offices. Constructed from 20 gauge cold rolled steel, free of rust or scaling. Exposed edges, corners, and surface areas are free of sharp edges. State-of-the-art welding technologies join the tier components. Sizes: Available in letter and legal depths and widths of 24″, 36″, and 48″. Colors: Available in a large number of standard and custom paint colors. Finish: A three-stage iron phosphate washer cleans all parts, which are coated with an environmentally friendly Epoxy-hybrid powder coat finish using an electrostatic paint system. 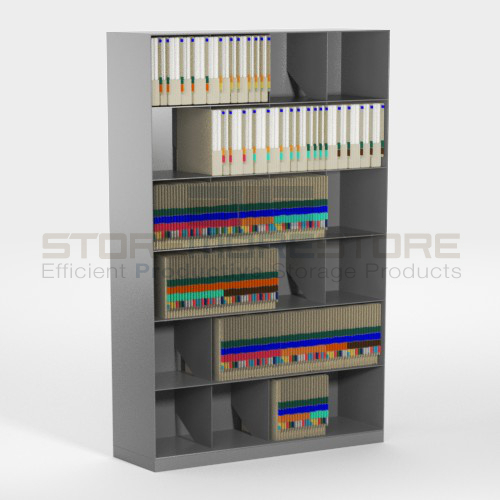 Compatibility: Slanted file shelving is compatible with Datum Vu-Stak®, Jeter, and VuMax. 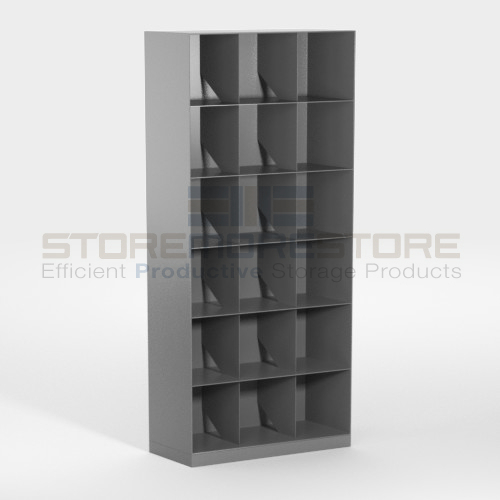 Slanted file shelving cabinets are available to buy online. For further assistance, give us a call at 1-855-786-7667. One of our storage experts will help answer all of your questions. Security is an important part of a large amount of industries. The HIPAA Compliant Act requires physical safeguards of personal health information and medical records, and individual files containing personal or otherwise sensitive information can be found in every other type of business. Locking roll-down security doors can be installed on almost any type of steel and wood shelving units, or even on counter and door openings. Hinged security doors are designed so they have to swing out into the aisle, which only takes up more valuable space that could be used for something else. The roll-down security doors are unique in that they’re mounted to the top of your shelving and simply roll up and down without the need for extra space in front. 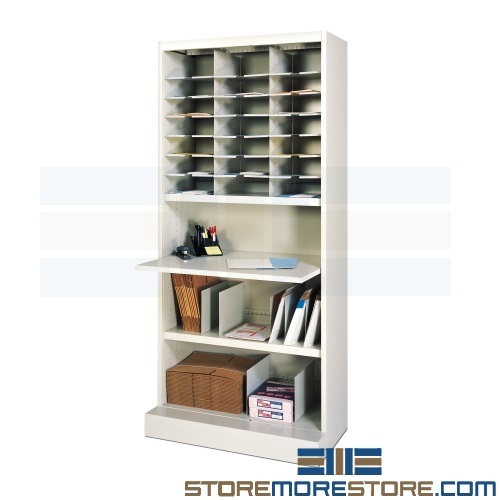 This allows you to stack additional boxes or desks in front of the shelving without having to move anything to access stored contents like you would with hinged security doors. Top mount door storage boxes add to the overall height of the shelving (84″ high shelving + 8-1/16″ door box = 92-1/16″ overall height). Front mount door storage boxes add to the overall depth of the siding (84″ high x 18″ deep shelving uses 8-1/16″ door boxes making the depth of the shelving with door box 26-1/16″). 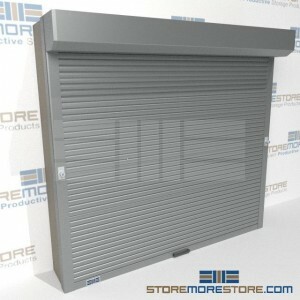 Roll-down doors are available to buy online in front mount or top mount configurations and ship in 10 business days. We would also be more than happy to help you decide what size and type of security doors would work best for you and your storage application. For more information or for additional assistance, call us at 1-855-786-7667. Two of the biggest office complaints are a lack of space and low productivity. It would be nice if we could all work constantly without taking up any physical area, but that’s just not possible yet. Employees actually work better when they are comfortable, focused, and have the right amount of collaboration or private space. This doesn’t mean you have to completely redesign your whole office. 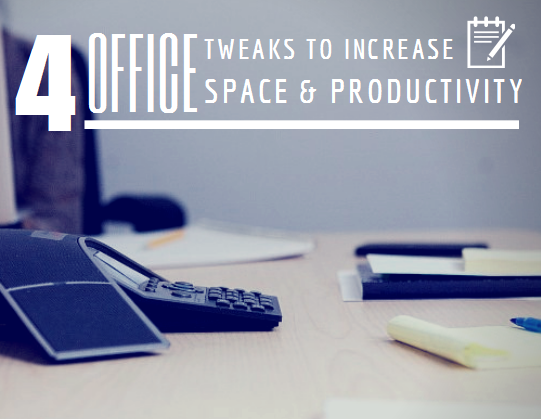 You can actually just tweak a few things to get many of the same results in increased space and productivity. 1. Instead of replacing your whole storage system, add a movable tracked system. 2. Create a collaborative space quickly with nest-n-stack tables. There aren’t always meetings happening in the conference room, so many times it just sits there empty and only gets used when teams need to collaborate. Now, you can use it for more with the nest-n-stack tables. They set-up in seconds for easy collaboration, and then fold down and stack up just as fast to move out of the way for other activities. 3. Use hanging compartments so you don’t have to convert your filing system. Top tab, end tab, color coded, large and small. More than likely over the years your filing system has changed, leaving you with a lot of different types of files. Instead of spending the time and money converting all of those files to one system (that you may not like within a few years), put them all in hanging compartments. Any type of file will fit in the compartments, and they’ve got a magnified label that makes for easy identification and retrieval. 4. For extra storage security add some rolling doors. 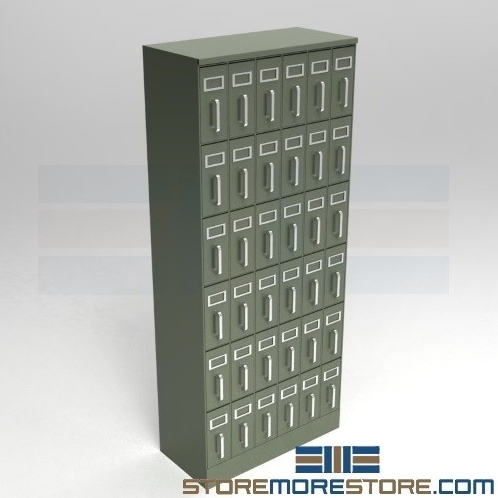 Locking file cabinets are great for securing information. Too bad they take up so much space and won’t store anything but top tab files. 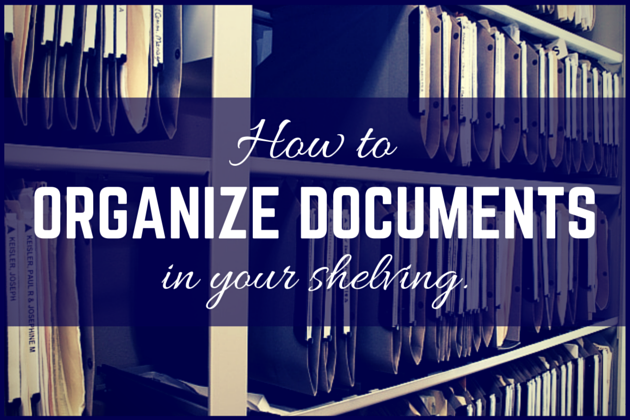 An easy solution to store all kinds of information is to move items to open shelving. But what about the security? Well, all you have to do is add rolling doors, and instantly everything is safe and secure. With all of these innovative products, you will easily make the most of your space and keep your employees productive. And if you didn’t see what you were looking for, visit us online at StoreMoreStore or give us a call 1-855-786-7667. We are happy to help!